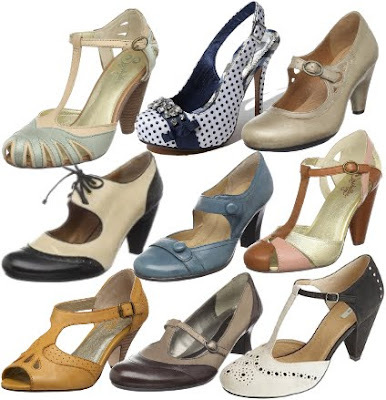 Platform shoes give you some additional height while sparing your feet from the pain of a four inch heel. (Or you still wear a four inch heel with a one inch platform because you like pain and being tall.) But platforms move differently than flexible soles. I bought a pair of lovely platform pumps a year ago but haven't worn them as much as I thought I would. I have to clomp in them, and if I try to walk like a normal human, the shoes rub my soles funny. If the sidewalks aren't perfect, I have to cling to my husband for support which makes me feel silly. After this experience, I don't think I'll buy another pair. Do you like what platforms have to offer, or do they rub you the wrong way? unmentionable price at Browns London, but they're oh-so pretty. I love platforms. But, I think that anything more than an 1 or 1 1/2 makes them tough to walk in if they aren't a bootie. It helps to have the support around your ankle or even just the whole foot. !!!! those platforms are to die for! Or buy a cheap black pair and test your gluing skills. I love platforms because they gave more padding, therefore aren't as painful. But it feels weird if platform is 1 in+. I recently became a fan of platforms after buying two cute pairs at Old Navy (of all places) for about $25 a piece. Great deal, very cute and super comfy too. I even walked about 4 miles in San Francisco in one pair! I love love platforms. Especially huge ones.. :) I'd wear them all the time if I could, but for work they are not too practical. I like platform shoes, but I think the platform has to be well designed. If not, they can be uncomfortable and stiff. I have a pair of BCBG platform peep toes with are by far the most comfortable heels I own, but I have also tried some that made me feel as if I was walking with wooden planks strapped to my feet. 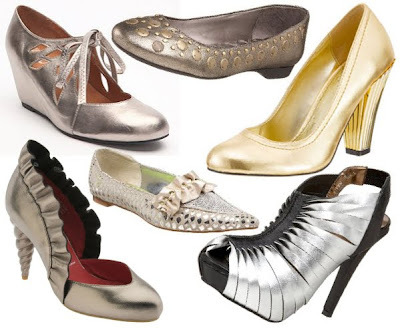 I also second what Alison said, that platform booties tend to be more comfortable to walk in than pumps, especially pumps with a lots of toe cleavage.